Oh how pretty - and perfect for anyone. 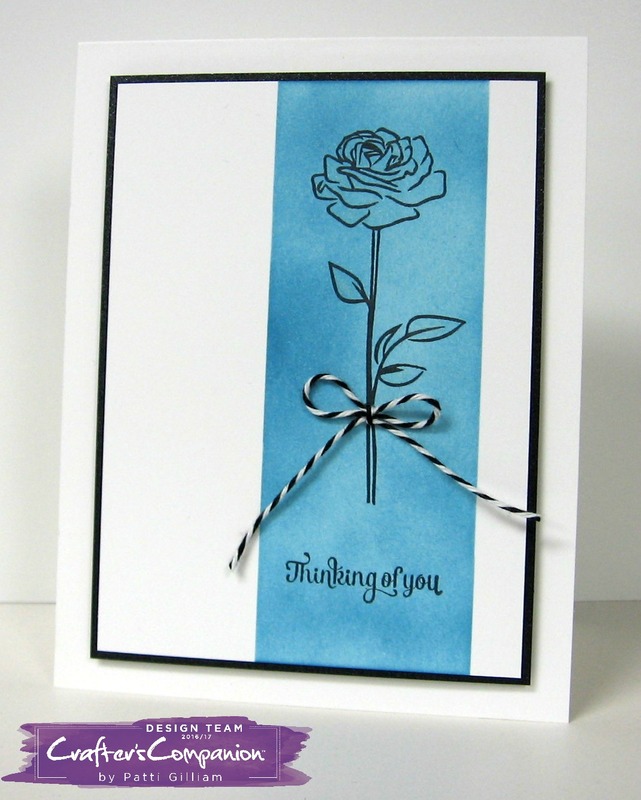 Love the CAS style and you are so thoughful when you send out cards to special people. Great design. I really like the CAS look. The blue is very pretty and so is your flower. Hope you have a great Friday! TGIF. This is such a clean and simple look but it sure packs a punch of awesomeness. I love the beautiful rose image and the blue color behind it. Gorgeous card! Did you ink in your blue background? It looks so perfect, I'm not sure when I look at the photo. Stunning CAS card! Se you tomorrow! Roses always make me feel better. Love your CAS style card, just lovely, sure she will love it too. So glad you got to see the babies and your daughter. Time flies, they must be growing like weeds!